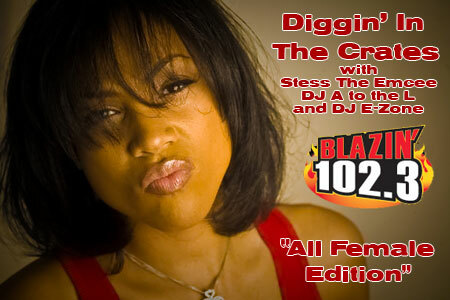 Following a request during last week’s show for an all-female show, I got some little things in order, and ran for the full 2 hours, spinning nothing but female emcees in the mix. Not a single track by Jean Grae, Invincible or Eternia?… Really? I’m gutted. Eternia’s just put out her album with one track featuring Rah and Rage. That woulda come handy for the mix… Nevertheless, thanks, I’ll bump this to work tomorrow. Kinda hard to throw the new Eternia joints on a Diggin’ In The Crates old school show though, innit? I already bend the rules to the point of breaking to slide some of the stuff I actually did play into the mix. you’ll be happy to find Eternia in the mix.